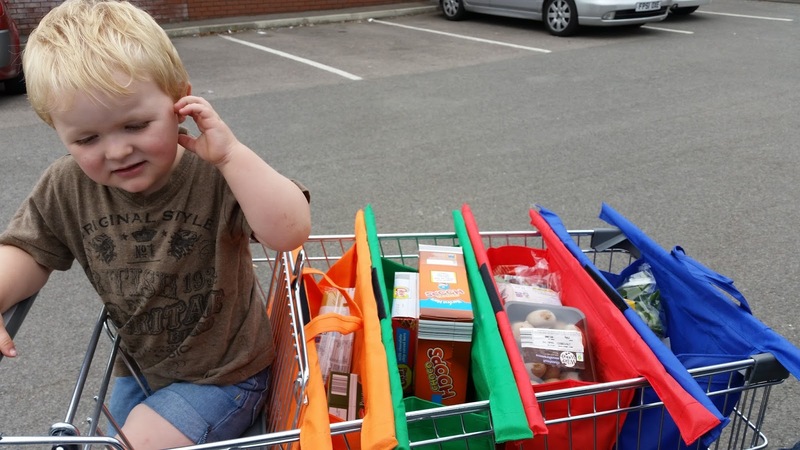 Supermarket shopping can be stressful at the best of times with a toddler in tow but doubly so when you are in a shop like Aldi or Lidl where you have to pack your shopping in to bags after you have been through the checkout. We are big Aldi fans as I am sure has been mentioned multiple times on the blog and have managed to slice our weekly shop time down to 30 minutes but a good (stressful) 5 minutes are added just packing the shopping into bags. We have Ted trying to take things out of them as we are putting them in, other trolleys trying to get around us and no room to get things out of the trolley to repack it. 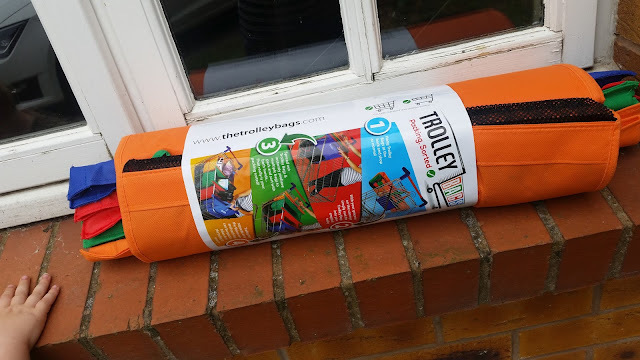 Therefore when I discovered Trolley Bags I was really keen to see if we could save ourselves time and stress off our weekly shop…. These unique reusable shopping bags are easy too pop in the boot and interlock to give you a nifty little handle. The bags velcro together and have a bar across the top which rests on the top of your trolley leaving the bags open and easy to fill with your shopping. We find these so useful, our food shop is a lot less stressful and we don't have lots of different bags littering the boot of the car. The only issue we have is that Aldi trolleys are a lot smaller than other supermarket ones so the bags don't have as much room as they could have. We also have Ted's seat which takes up the room as well but in a regular trolley without a child they would be perfect. We are only a family of 3 so don't buy nearly as much shopping as some bigger families so I would be keen to see how this works for them. Overall though the bags are super strong and really handy. We probably would have gasped at the price tag of £16.99 but since using them they are actually worth investing in and we will continue to use them in the future. 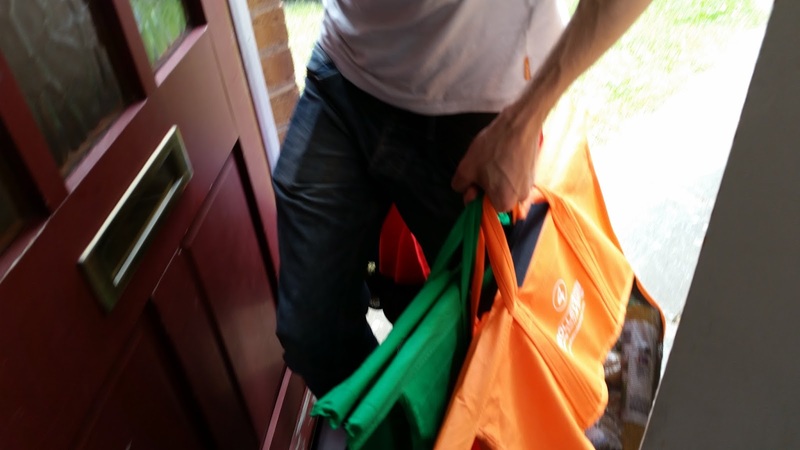 Finally here is a picture of Daddy being 'SuperDad' carrying all of the bags at once into the house...because that's what Daddy's do! *We were sent a set of bags for this review but all thoughts are my own. Great review. I saw these on FB too and I'm considering investing in them. Can you buy them in a shop or only online?